Jonathan Hoenig, MD – Jonathan Hoenig, M.D. Los Angeles plastic surgeon, Dr. Jonathan Hoenig is committed to quality, compassionate care, superior patient satisfaction, and excellence in facial cosmetic and reconstructive surgery. Dr. Hoenig limits his practice to facial cosmetic and reconstructive surgery, having performed close to 14,000 thousand procedures over the past 15 years on the face alone. He is one of the few cosmetic surgeons who is a member of the American Society of Ophthalmic Plastic and Reconstructive Surgery (ASOPRS) and the American Board of Ophthalmology, and a diplomat of the American Board of Cosmetic Surgery. As a member of the prestigious ASOPRS society, Dr. Hoenig is one of fewer than 500 surgeons in the world who has completed an approved fellowship, passed oral and written examinations, and presented a thesis pertaining to plastic surgery on and around the eyes and face. Dr. Hoenig presented his thesis on Mid-facial Anatomy and is considered one the of the world’s experts on rejuvenation of the midface, including the eyelid and cheek areas. Dr. Hoenig’s training is impressive. He completed three separate fellowships in his quest to master the art of facial plastic and reconstructive surgery. He first focused on oculoplastic surgery specializing in techniques of plastic surgery as it relates to the eyes and their surrounding structures such as eyelid repairs, browlifts, tear duct surgery, and treatment of thyroid eye disease. He then pursued further training through a second fellowship in oculo-facial cosmetic surgery at the prestigious Jules Stein Eye Institute at UCLA, leading to his precision in such aesthetic procedures as facelifts, midface lifts, browlifts, and necklifts. Finally, Dr. Hoenig expanded his scope to include full body cosmetic and dermatologic surgery, where he excelled at the techniques of liposuction, fat transfer, laser skin resurfacing and chemical peels as well as other cosmetic procedures of the body. In addition, Dr. Hoenig is experienced t in Mohs surgery for skin cancer excision and reconstruction, and he continues to perform 50 to 60 cases of Mohs surgery each month removing cancers from the face and then rebuilding the defect to produce an aesthetically pleasing result. Dr. Hoenig is in high demand from other physicians who desire to learn his advanced and innovative techniques of facial plastic and reconstructive surgery. 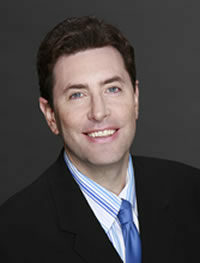 Additionally, Dr. Hoenig has authored numerous scientific papers and medical textbook chapters, and is a regular lecturer at the annual meetings of the American Academy of Ophthalmology, the UCLA Jules Stein Eye Institute, and the American Society of Ophthalmic Plastic and Reconstructive Surgery (ASOPRS). He is frequently requested to present his techniques and methodologies at meetings of general plastic, facial plastic, and oculoplastic surgeons alike.